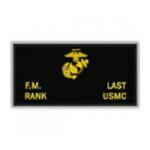 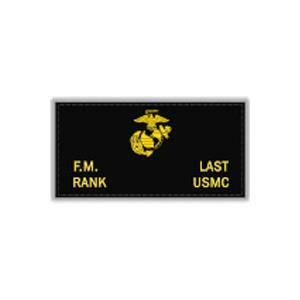 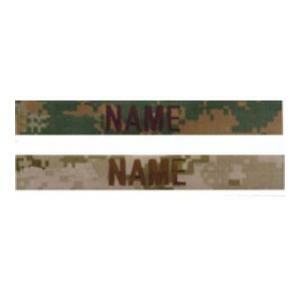 Embroidered Name Tapes and U.S. MARINES tapes for the new MCCUU Digital Print uniforms. 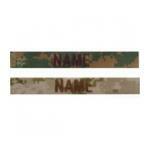 The name tapes are available in both woodland and desert. 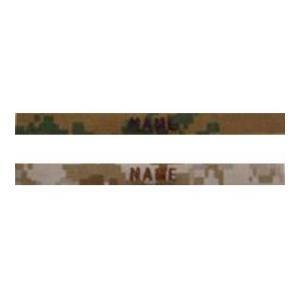 The woodland tapes now come without the black in the material. 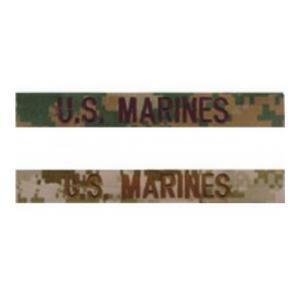 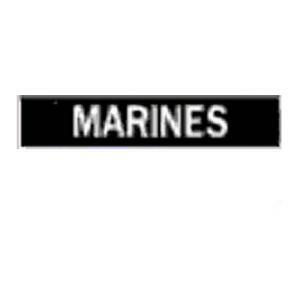 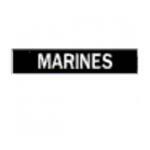 U.S. MARINES tapes for the new MCCUU Digital Print uniforms. Available in Woodland and Desert colors. 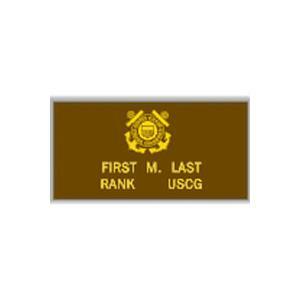 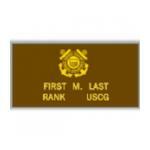 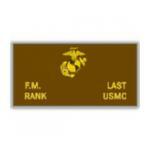 Engraved plastic name plates for Class A and B uniforms. 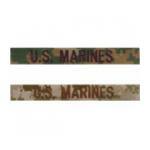 The plates are 1/2 inch tall by 3 inches wide with beveled edges.